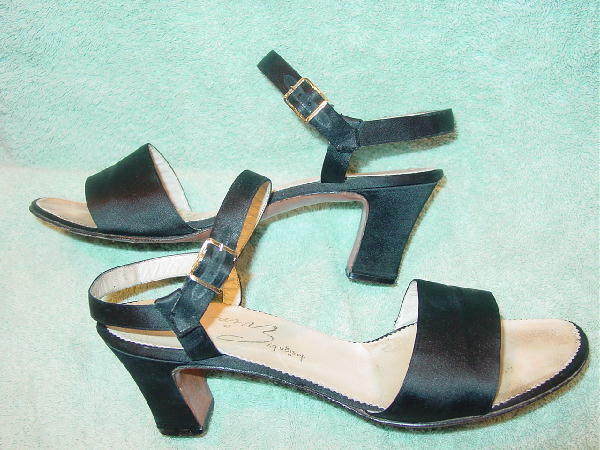 These handnumbered black satin sandals are vintage Evins and were originally sold at Neiman Marcus. 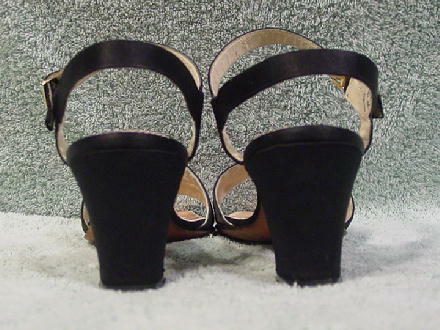 They have a wide strap across the vamp and ankle straps. They have discolored antique white leather insoles. The right shoe has a small snag in the fabric as it meets the rubber heel. They're from a former actress who wore them a lot (award shows, Broadway play openings, first nights at the opera, and afterparties). 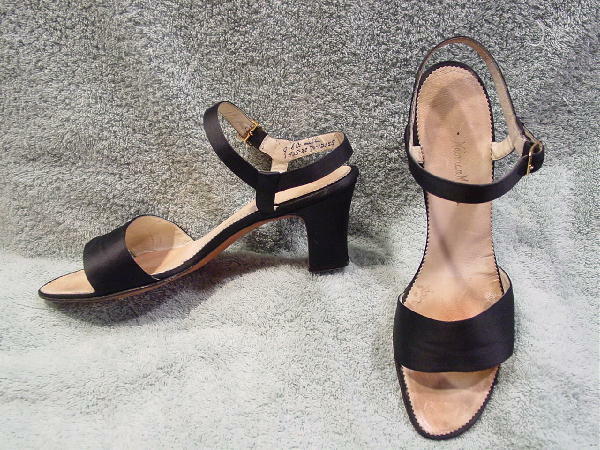 She said they were very comfortable and great for dancing.